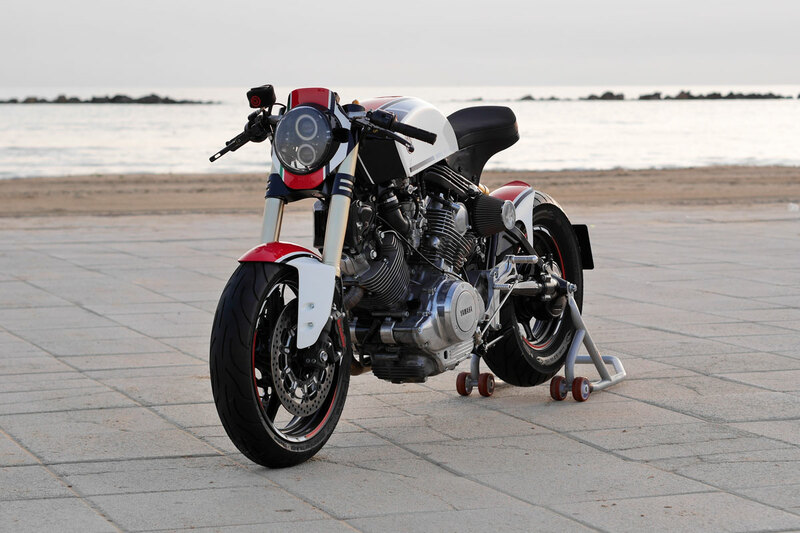 Today we are featuring a modern cafe racer build from Yamaha XV750. This is MCO2 build by KSC Daygo based in Italy. It is led by Massimo and Fabian. This bike is modern overlook of the classic bike and for this project Massimo worked on modern techniques and Fabian focused on traditional parts. Massimo used front part and wheels of Yamaha R1. In order to set the steering they used CNC triple clamps. They used Sach's Rear shocks connected with the customised swingarm. 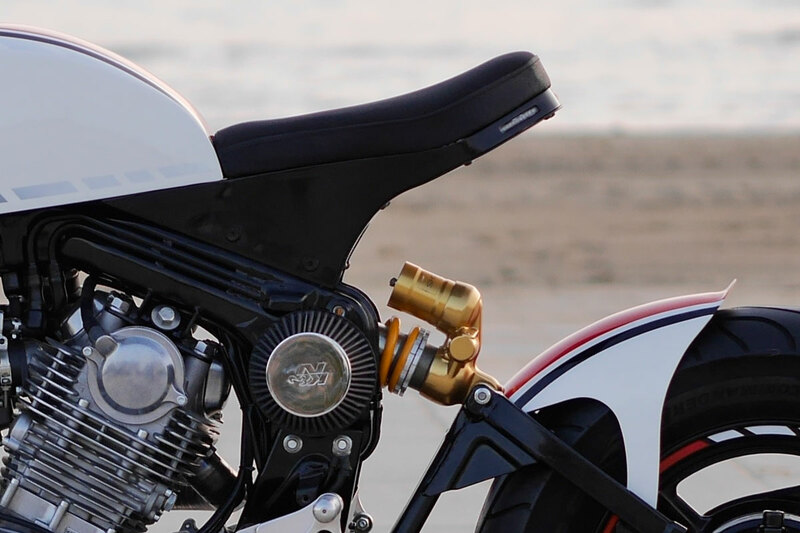 Customised swingarm gives the raised position to bike. They used brembo twin brake on the front and rear remained stock. A customised 1968 Kawasaki GPZ fuel Tank give it perfect looks. Front fender is from Ducati Panigale and rear is hand built. Taillight is integrated in the seat's back. 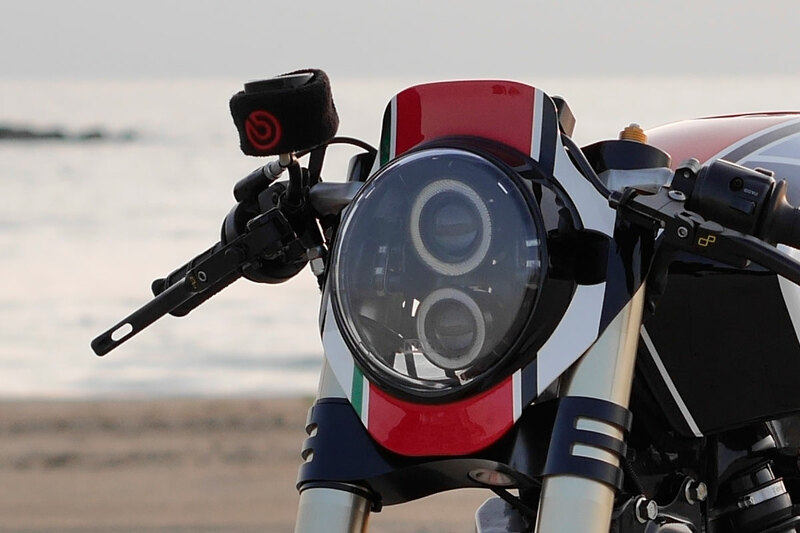 A custom headlight is used by KSC, a plexiglass cover holding 2 projector lamps. The engine remained untouched while they used K&N filter, a pie cut stainless exhuast system and carb also tuned up. The wiring also got completely changed. They used less wires and all the electricals are put below the seat.